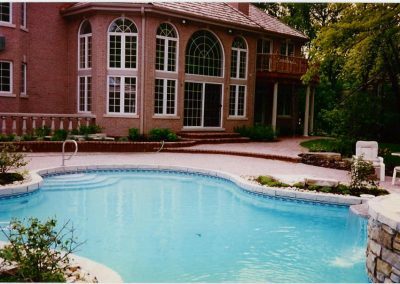 A-1 Contractors Inc. has been serving the pool deck design and installation needs of Riverwoods Illinois area residents since 1989. We are proud to be local, Authorized Unilock Contractors with an A+ rating with the BBB. For a FREE QUOTE on a new pool deck or a pool deck repair project call us today at: 847-520-1898 or use our contact form below. We proudly accept both residential and commercial projects. 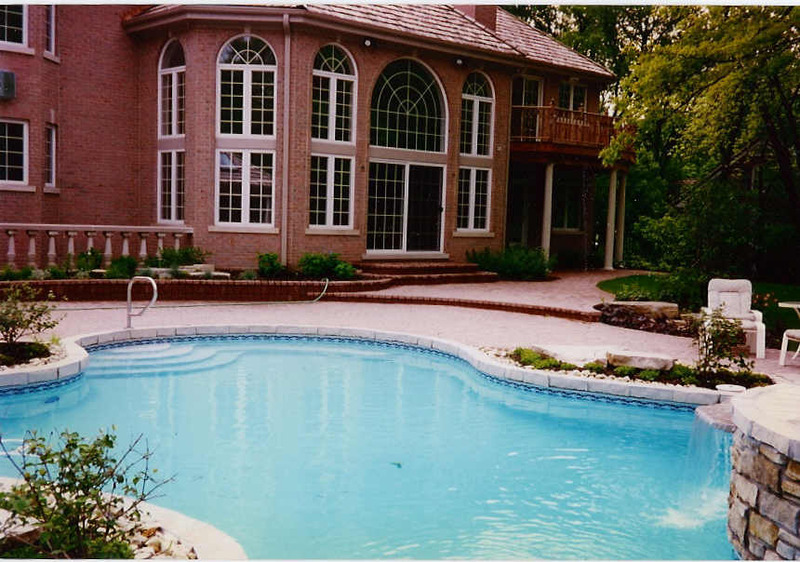 Considering a new pool deck for your Riverwoods Illinois home or business? A-1 Contractors makes the entire process easy. We will first establish a meeting for you with one of our professional sales staff who will assist in the design of your project or work, with an existing plan or idea you might have. From there a free estimate will be prepared, which will be accompanied with an explanation of the installation process so that you know what to expect during the construction phase. From design to completion of construction you can be confident that A-1 Contractors Inc., will deliver a completed project with the utmost professionalism, craftsmanship and customer satisfaction. 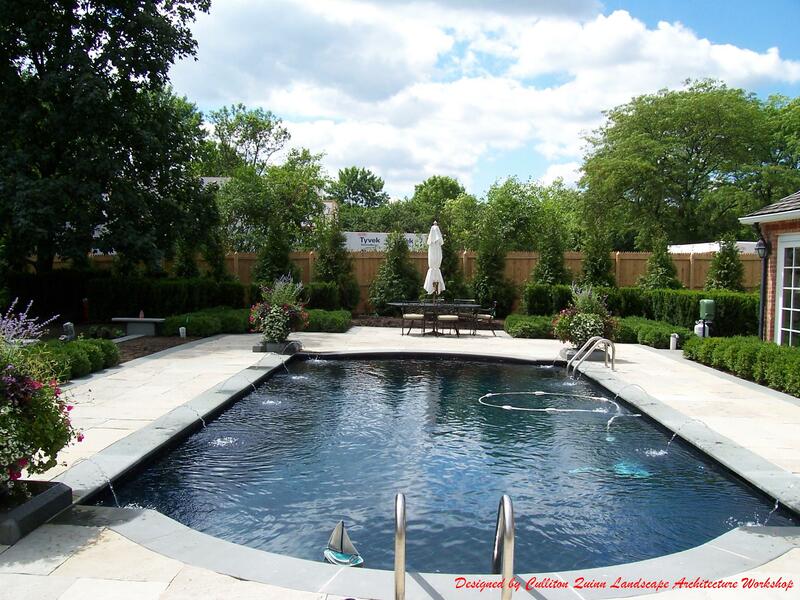 Looking for a durable and long lasting material for your new pool deck in Riverwoods? Our designs will certainly be the envy of the neighborhood. 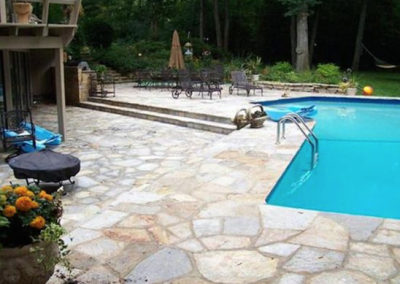 At A-1 Contractors we will work with you to choose the perfect style, design, color, or pattern for your new brick paver pool deck for your home or business. 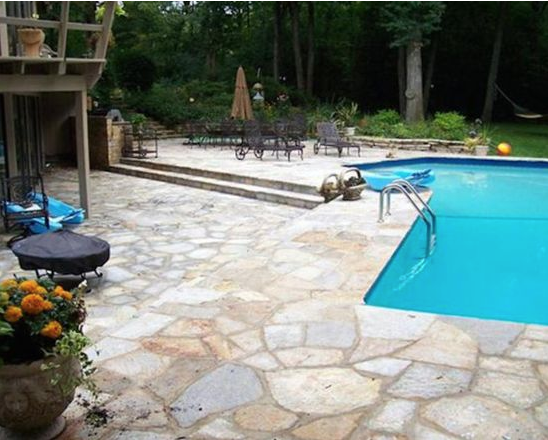 You may be surprised just how gorgeous concrete pool decks can be these days. Our talented team will work with you to choose the look, and design of your dreams. We can do your standard concrete, stamped concrete, exposed concrete and more. 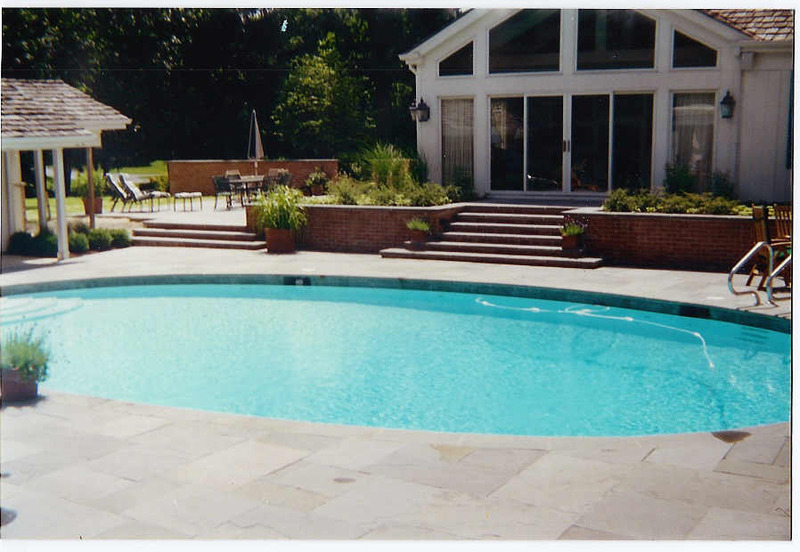 For a free no oblicationon quote on a new natural stone pool deck or natural stone pool deck repair project call A1 Contractors Inc., today at: (847) 520-1898 . 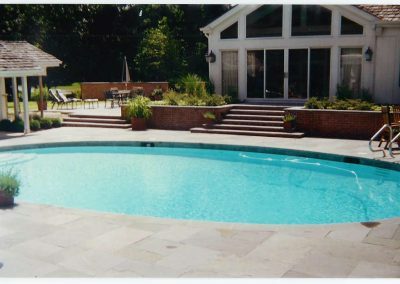 Our company works with you to choose the right design, and hardscape materials that will let you express your personal style rather than force you to settle for a “cookie cutter” type of pool deck or patio. We aim to create a truly remarkable outdoor retreat that perfectly suits your tastes and lifestyle.